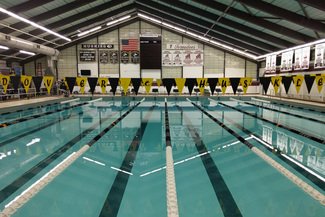 A volunteer opportunity for everyone; the Andover Boys Swim & Dive Team needs you! Just like with any team, parent involvement is vital for a successful season and a great experience for our student athletes. We need help at home meets selling concessions and chuck-a-duck (a fundraiser), getting meet day meals to our athletes, planning events for the team, taking pictures, managing social media, setting up the end of season banquet, etc. Many hands make light work and we would appreciate if everyone signs up for at least two shifts of volunteer work. Thank you! Update, print and deliver programs for the home meets by 5:20 p.m. I'll be there to take pics when I can. Pickup sandwiches by 3:30 p.m from Andover Subway and deliver sandwiches to team bus at OAK VIEW MIDDLE SCHOOL by 3:45 p.m. Serve customers at Concession Stand, arrive at pool by 5:30 p.m. Deliver 2 large bags of ice to concession stand by 5:30 p.m. Deliver to pool by 5:30 p.m.
Help run Chuck-A-Duck event during home meets. Arrive at 5:30 p.m. to prepare. Need to know what to do?? Bring a large mixing bowl and whisk to mix pancake batter. Bring Electric Fry Pan and flipper or tongs, and extension cord, to help cook pancakes, bacon or sausage. Bring Electric Griddle and flipper or tongs and extension cord, to help cook pancakes, bacon or sausage. Peel the oranges to make them easy to grab! Help clean-up Cafetorium following the pancake breakfast.